Do you need the best Vietnamese coffee brands to make traditional Vietnamese coffee? There are some Vietnamese coffees that are easy to get your hands on the outside of Vietnam and those will definitely help in your quest to perfect your Vietnamese coffee-making skills. However, you can make a traditional Vietnamese coffee with coffee from other places, too. Trung Nguyen Legendee Coffee (sometimes called Creative 8 / Sang Tao 8), a naturally sweet coffee with hints of chocolate that is a blend of Arabica and Excelsa beans. It’s dark, smooth, and strong. This brand of coffee is part of the reason Trung Nguyen is so well-known. If you want to try Vietnamese coffee without the sweetened condensed milk, you may like this one, though you can feel free to add the milk, too. Trung Nguyen Creative 1 Culi Robusta, which can stand up to the syrupy sweetness of condensed milk, regular cream, and sugar, or be enjoyed black (hot or as a cold brew). This Nguyen coffee makes an especially good iced coffee because of its strong flavor and ingredients. It’s full-bodied and sweet on its own with chocolatey notes, creamy mouthfeel, and more caffeine than the average Arabica coffee. Trung Nguyen Premium Blend Coffee, Ground, which comes in a canister and is often used for traditional Vietnamese coffee when it’s made at home. It’s a blend of Arabica, Robusta, Excelsa, and Catimor beans. This brand of coffee is especially interesting because there are natural flavorings added, whereas most other coffee blends from this brand of coffee do not have that. It doesn’t qualify as “flavored” coffee because it’s not meant to taste like anything other than rich, delicious, good coffee. The flavors are kept subtle and only used to round out and balance the flavor. Trung Nguyen Creative 2 Robusta Arabica, which is a mix of Robusta and Arabica designed to achieve balanced flavor and stand up to cream and sugar (hot or as a cold brew). This is one of the best performing Nguyen coffees on the Len’s Coffee website. You can order any of these Trung Nguyen Vietnamese coffees (and more) online at Len’s Coffee. The Highlands Moka Blend, which isn’t a Robusta like a lot of the Vietnamese coffees. Instead, it’s an Arabica varietal with hints of chocolate, vanilla, and nuts. This one can be hard to find at times, so if you want to try it and see it in stock, don’t hesitate or you may miss out. You can also find this one at Len’s Coffee. This one is, as the name suggests, actually an instant coffee. 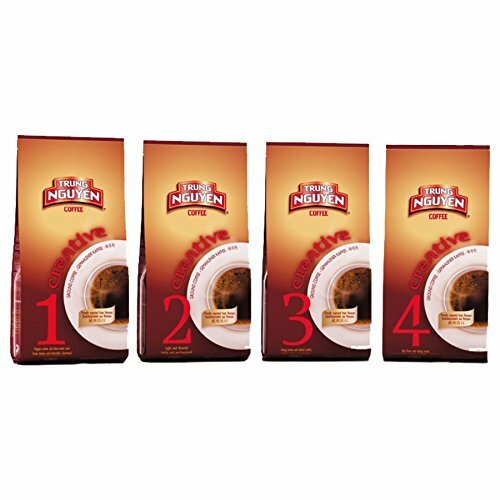 The three-in-one means that it’s a good instant coffee, sugar, and creamer all in one packet, so you won’t be brewing this up in a traditional manner with condensed milk or much of anything else. This packet has everything you need, with a base of Vietnamese coffee grown in the highlands of Vietnam. This is available in Original, Strong, and Women’s Coffee, in four different sizes, on Amazon. Reviewers tend to love it for its simplicity and a perfectly good balance of strong coffee, sweetness, and creaminess. The packets make it easy to travel with, too. This brand’s name pays tribute to the actual (very expensive!) 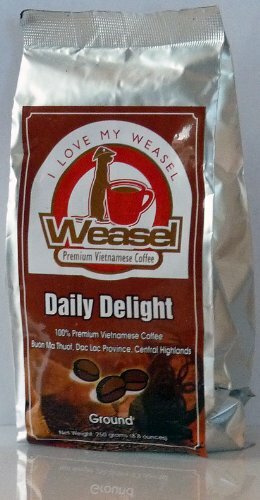 weasel coffee. If you’re unfamiliar with the concept behind real weasel coffee, you can read more about that process here. They actually do sell small amounts of real weasel coffee, both in their top two premium blends as well as the occasional 100 percent weasel coffee that they get straight from the farmers. Daily Delight Premium Vietnamese Coffee, which is relatively inexpensive, straightforward, free of weasel coffee, and is strong enough to be enjoyed hot or as a cold brew. Mr. Phong’s Private Reserve Premium Vietnamese Coffee, which is one of the ones with a tiny bit of real weasel coffee inside. Thank to the weasel coffee, it has an earthier flavor than some of the other options. It’s a Robusta and Arabica blend. Masterpiece Premium Vietnamese Coffee, a luxurious blend mixed with chocolate and butter, most suited for dessert. Café Blend, which has a milder taste than some of the others without falling anywhere close to the “mild” category. This one still has the intensity that a Robusta coffee can provide. They also carry a couple of sizes of real weasel coffee, but it’s incredibly expensive. It’s almost $20.00 for a 20-gram container (ground) or close to $100.00 for 100 grams. This might be the perfect thing if you’re looking for an experience more than your next daily cup of coffee, but most people wouldn’t want to spend that much on their coffee habit no matter how interesting it tastes. If you’re curious, it tends to be creamy and chocolatey. This one is not a Vietnamese brand of coffee. However, it is often used in the Vietnamese coffee style and served in Vietnamese restaurants, and it’s difficult to learn more about traditional Vietnamese coffee without seeing this one pop up at some point. This brand of coffee comes from New Orleans, Louisiana—not Vietnam. There’s a common thread, here, though: the French. In 1857, the French introduced coffee to Vietnam. It was an immediate success and gave the country an economic boost. Café du Monde was the original French market coffee stand, showing up in New Orleans only a few years after the French introduced coffee in Vietnam (1862). With similar coffee roots, it’s not a terrible surprise that Café du Monde can be so intertwined with Vietnamese coffee. The Coffee & Chicory options are simply rich, dark mixes of coffee and chicory. Chicory adds good body to the coffee and carries hints of chocolate despite being a root. The French Roast is the 100 percent Arabica coffee, sans the chicory. French roasts are dark and easy to serve with milk and sugar. It needs to be strong, dark, and have a medium-to-coarse grind. Caramel tasting notes are especially nice in a Vietnamese style coffee and play well off of the sweetened condensed milk, but not completely necessary. Want to make Vietnamese coffee but don’t have any actual Vietnamese coffee on hand? 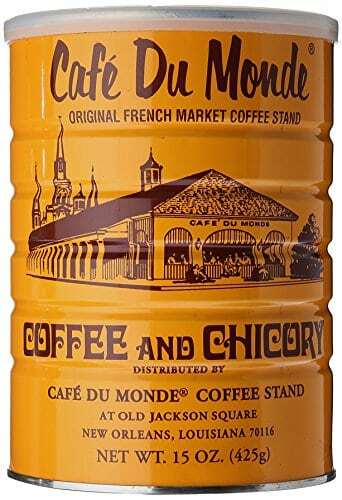 In a pinch, you can use almost any French roast you like to make a Vietnamese coffee (specifically Cafe Du Monde French Roast Chicory coffee, mentioned above). French roasts tend to be strong enough to stand up to the sweetness in the case that you do decide to add the sweetened condensed milk (you don’t have to). Think making Vietnamese style coffee at home will be difficult? If you’ve ever made a pour over, you’ve basically already done it. Use the coffee you like best but if you’re unsure, start out with the traditional Robusta roasted dark or medium beans. Preheat your filter by pouring hot water through it. Add your coffee (a rounded tablespoon should be enough since you’re only making one cup at a time). Cover the coffee with the top of the filter. Perch your filter on your coffee cup. Pour your just-off-the-boil hot water into the filter, but don’t rush. Cover the coffee with the water. Wait about a minute, then finish filling your Phin with the hot water. Wait some more, about 10 minutes, for all of the water to make its way through the coffee and into your mug. Add a little condensed milk if you’d like and serve it hot or as a cold brew. This distinction is a question I’ve received a lot. In short, a Phin filter uses percolation (not pressure!) as the method to extract coffee beans with water. As such, it takes a good degree longer to make coffee with a Phin filter than with the French Press method. This is for good reason. The additional time means the beans are able to more fully absorb the grounds of coffee, creating a rich, deeply infused, flavor profile that is synonymous with the Vietnamese style coffee. Trung Nguyen Coffee 1. Trung Nguyen Legendee Coffee: It’s dark, smooth, and strong. 3. Trung Nguyen Premium Blend Coffee: it’s not meant to taste like anything other than rich, delicious coffee. 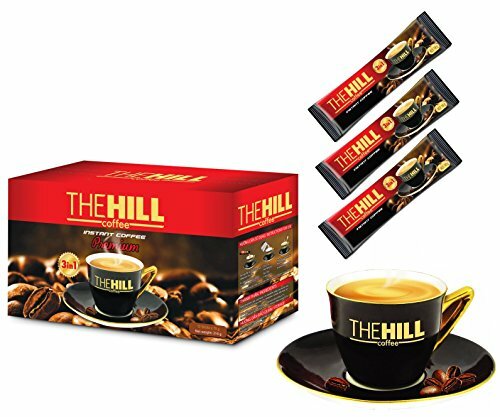 The Hill 3-in-1 Instant Premium Vietnamese Coffee 1. Original: Balanced flavor. 3. Women’s Coffee: Contains honey Vietnamese coffee grown based. it’s instant coffee, sugar, and creamer all in one packet. Café du Monde simply rich, dark mixes of coffee and chicory. Chicory adds body to the coffee and carries hints of chocolate despite being a root. The French Roast is the 100 percent Arabica coffee, sans the chicory Delicious caramel notes. Whether you’re interested in finding the best Vietnamese brands of coffee, because you want to sample coffees from around the world (black or with cream and/or sugar) or you’d like to try your hand at making a good traditional Vietnamese coffee with sweetened condensed milk, enjoy trying it out. Be aware of the higher caffeine contents in some of the brands and blends (usually the ones heavily focused on Robusta beans) as you experiment so you don’t overdo it. Previous Post: « Keurig K575 vs. K525: Which is best for you?